Wow, what an exciting week this has been! After months of planning, filming, creating, and editing Webinar Central was finally ready to launch. On Tuesday we went live and I'm happy to announce that so far things have been going great! There are 24 business training and inspirational webinars available right now, with five more to be added soon. 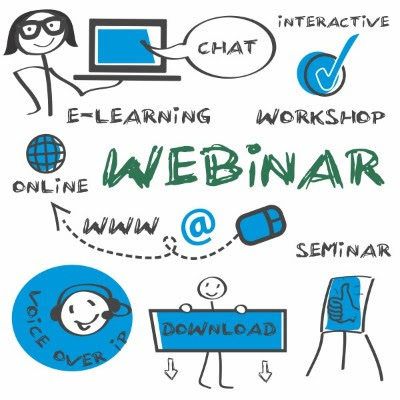 The webinars range between 45 and 90 minutes in length. You can download one at a time or choose a complete series of subject areas. We chose topics that are timeless, such as customer service skills, how to start a business, human resource management, market and sales and financial management. What's really cool is that all of the presenters are from Central Alberta so you're learning from local business people who have been in the trenches and know what it takes. There's also a complimentary Secrets of Business Success series.These short, podcast-type webinars will inspire and motivate you to great things! I think that Webinar Central is a great complement to the other services we provide at RABC Rocky. They help clients build their business skills and learn the steps they need to build a profitable, sustainable business. And because of the financial support from the Community and Regional Economic Support (CARES) program of Alberta Economic Development & Trade, the webinars are value-priced at $24.99 each for limitless viewings. RABC Rocky and the Town of Rocky Mountain House gratefully acknowledge the support of the Central Alberta Economic Partnership and the Government of Alberta. The Webinar Central of the world performing companies in the advance world become tougher. This is the best thing as per the https://www.assignmentgeek.com.au/ to establish their reputation. The Webinar Central Company based of UK try to develop their business in the UAE side for the best developing area in the world.